GAINESVILLE, Fla. (AP) — Florida’s kicking situation has gone from depleted to desperate. The 13th-ranked Gators sent out an "all call" for kickers Monday after Jorge Powell was injured at LSU. Powell was run over during a kickoff. And with top kicker Austin Hardin also dealing with a leg injury, coach Jim McElwain has few, if any, other options on his roster. So Florida took to Twitter "looking for walk-on kickers." The team asked for any interested and eligible students to visit the football office by 4:30 p.m. Monday for a tryout. All Call for Kickers! 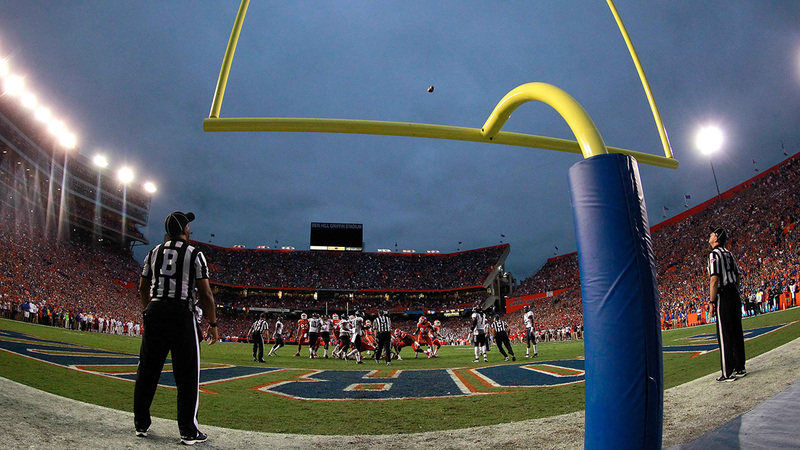 #Gators are looking for walk-on kickers. Visit the football office today by 4:30 PM to sign up for a tryout. Must be enrolled at UF with a minimum of 12 credit hours. The good news for the Gators (6-1, 4-1 Southeastern Conference) is they are off this week before playing rival Georgia (5-2, 3-2) in Jacksonville on Halloween. So they have extra time to get healthy or get a walk-on up to speed.